I Poderi Agriturismo is not a simple farm; is a real team of people, who, with the same objective, have reached the right feeling and good mood at your service, in order to make your event come true, in order to make your special holiday happen. There is a very long to do list in order to organise a wedding, or a special event, and one of these, is the passion for a well taken care table. Here is where the original and creative props of our wedding planner Mirko Giorgetti come in play. 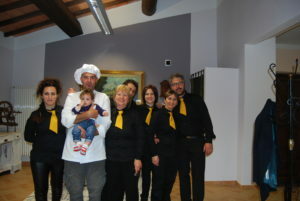 Mirko was born and raised from a family of restaurant owners. This is where the passion and the skills come from. Every event will be diverse and original in every details around the table. Book your event in advance! Qualunque sia il vostro evento, matrimonio, celebrazione, festa noi siamo qui per per rendere questo giorno un momento e una vacanza indimenticabile. Siamo esperti nella personalizzazione e soluzione delle vostre richieste, ogni vostro menù sarà speciale e la vostra tavola avrà la sua diversa e unica apparecchiatura. Puoi contattarci scrivendo a info@ipoderi.it oppure chiama +39 336375555 Mirko Giorgetti sarà il tuo problem solving per la gestione e organizzazione del tuo evento. Se sei curioso NON ESITARE.. chiamalo subito! La Toscana alla scoperta dei vini del nostro territorio, dal Brunello di Montalcino al vino Nobile di Montepulciano e al suo olio di oliva che produciamo.. Per riscoprire uno dei 5 sensi, il GUSTO, vi proponiamo degustazioni e se vuoi di più abbiamo studiato percorsi nella Riserva Naturale di Pietraporciana per risvegliare gli altri sensi, godrai di una bellissima vista nella natura, toccherai piante e il tuo olfatto reagirà sicuramente alla buona aria pulita delle piante nel bosco della Riserva. Chiama l’ organizzatrice Anna Maria Zullo +39 3393525834 sia per le degustazioni che per le giornate dedicate ai percorsi. 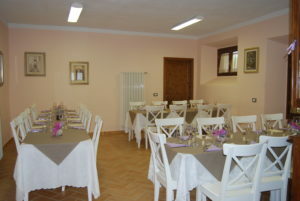 Chiama il nostro team per prenotare un tavolo e per maggiori informazioni (039)336375555 . Whatever your event is, wedding, party, celebration, we are here to make your day a special one. We are experts in the personalization and solution of your requests, every menu will be special and your table decorations will be as unique as you are. 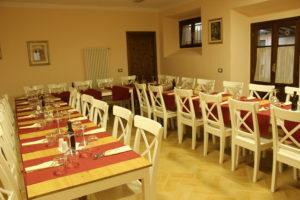 You can write at info@ipoderi.it or call Mirko Giorgetti on 0039336375555. He will be taking care in managing and organising your event. If you are curious, don’t hesitate, call us! trekking, wine and olive tastings. Discovering Tuscany, experiencing the wines of our land, from Brunello di Montalcino to Vino Nobile di Montepulciano, and to the olive oil that we produce..
To discover again one of our 5 senses, TASTE, we offer you a wide range of tastings, and if you want more, we have a series of itineraries in the Pietraporciana Natural Reserve to awaken all the other senses. You will enjoy a beautiful natural view, you will touch plants and your smell will react to the beautiful clean air of the Reserve. Call the organiser Anna Maria Zullo on 00393393525834, both for tastings and trekking excursions. From Monday to Thursday, for reservations of more than 20 people, we will offer a bottle of Brunello di Montalcino.